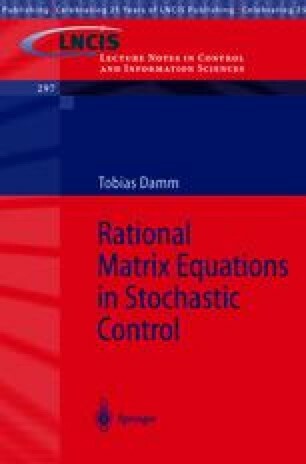 In Chapter 2 we have discussed various optimal and worst-case stabilization problems for linear stochastic control systems and reformulated them in terms of rational matrix inequalities. Now we analyze these matrix inequalities and the corresponding matrix equations. To this end, we first introduce an abstract form of the Riccati operators met in the Sections 2.1 – 2.3, and the definite and the indefinite constraints mentioned in Remark 2.3.7. Recall that the LQ-stabilization problem and the Bounded Real Lemma lead to Riccati equations with definite constraints, while the disturbance attenuation problem involves an indefinite constraint.